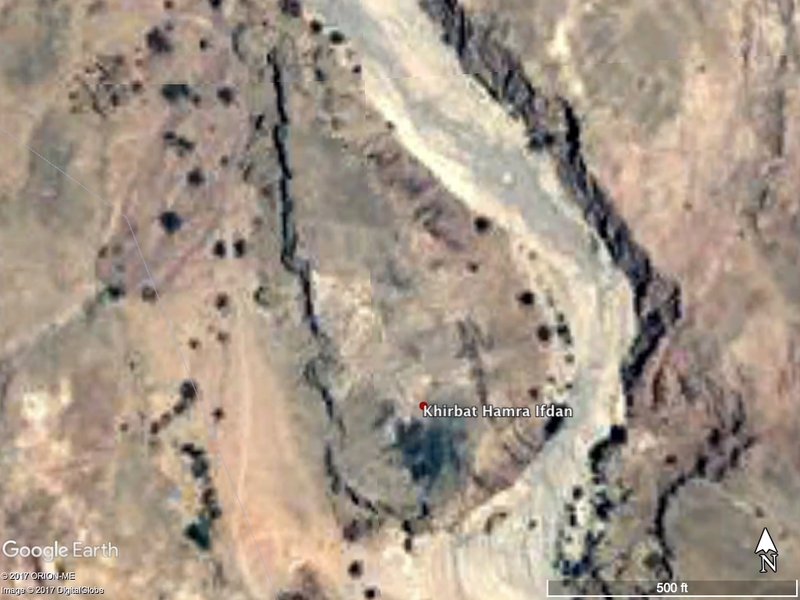 Dug-up Commonplaces | Thoughts on the Islamic period archaeology of Jordan and whatever catches my interest. The southernmost Levant in the news! 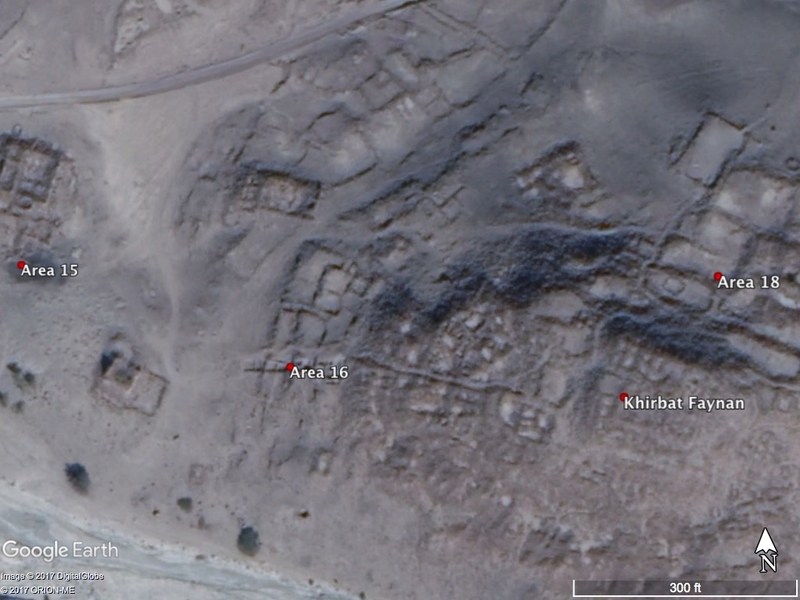 Second, John Oleson’s work at al-Humayma has been highlighted in a Jordan Times article (I’ve seen it reposted in a number of other places, too) focusing on the earliest Nabataean settlement at the site. The article then goes into a brief history of the site itself — including its role in the ‘Abbasid Revolution — and of the extensive research that Oleson has conducted there. I’m a bit biased, as I’m always glad to see my general research area in the news, but these are both great projects, and the stories are definitely worth a read. Hello, and welcome to the latest installment of “Ian rambles about the latest archaeology news.” I’ve seen this story shared in various forms on the various Near Eastern archaeology social media thingummies, and I’ve read it with interest each time. This is, in part, because much of the reporting on it has been . . . rather strange. The gist of the story is that archaeologists from the Israel Antiquities Authority found a hoard of nine 6th and early 7th century AD copper folles in salvage excavations at ‘En Hemed, and based on the dating of the latest coins have suggested that they were hidden prior to the Sasanid invasion of 614. It’s been reported in the Jerusalem Post (use an ad blocker! ), which seems mostly to rely on the IAA press release, and a much stranger article has also appeared in the Washington Post. I’m sure there are other versions out there, too, though I can’t imagine any are quite as strange as that one. First, the less strange one. As I mentioned, the Jerusalem Post story mostly seems to repeat the IAA press release, but with nicer photos. The major contribution seems to be that in the JPost story the hoard is called “rare,” which is probably not the word I would use, as quite a few hoards can be attributed to the Sasanid invasion. In fact, to quote Alan Walmsley (2007: 324), “Quite a few hoards can be attributed to the Sasanid invasion.” Beyond that, it’s a bit weird that both the JPost article and IAA release give dates of birth and death for each emperor, which, when discussing coins, is somewhat less useful than regnal dates. (It would, indeed, be quite rare to find a coin of Phocas dating to 547 AD, as that’s 55 years before he became emperor. . .) This isn’t a huge issue, though, and the rest of the release seems pretty straightforward. The dating issue is corrected, at least for the reign of Phocas, in the Washington Post version. Sort of. They give the dates as 604-609, which is not quite right for the reign of Phocas, but I suspect the archaeologist, Annette Landes-Nagar, has narrowed this down on numismatic grounds. I’m not a numismatist (and the coins are, as would be expected in a news story like this, not presented in much detail), so I’m not totally sure. I am, however, more sure that it is not accurate to say that Landes-Nagar “estimated that the coins were minted sometime between 604 and 609 because they bear the faces of Byzantine emperors of the time,” considering that the hoard also contained issues of Justinian and Maurice, neither of whom was Byzantine emperor at that time. I imagine that at this point you’re saying to yourself, “I don’t know. That doesn’t seem that weird.” Agreed. That is just me being nitpicky. What’s weird is that, of the 18 paragraphs that make up the article, only five are about the ‘En Hemed excavations. The rest seems to be about the archaeological evidence for early Christianity in Israel and, uh, the existence of Jesus, for some reason. The first, we’re told, is “a potent point, offering proof of the Christian connection to the Holy Land and the Middle East, alongside that of Judaism and Islam.” This seems fairly obvious, but on the other hand, I don’t think anyone who follows the archaeology of Israel will be surprised to see the phrase “proof of the X connection to the Holy Land” in an article. So, fair enough? Stranger is the point that archaeologists haven’t found “physical evidence of [Jesus’] existence.” True, but . . . what does that have to do with a hoard of 6th and 7th century coins? I think the idea here is something to do with the development of the Christian community, but it seems like a strange way of introducing this coin hoard, especially since that connection is never made very clear. None of that is, of course, a critique of the excavations, and I’ll be curious to see the publication when it comes out. Considering that the hoard was found in collapse, I’ll be interested, in particular, to see if they consider the possibility that it might actually have been dropped during the earthquake of 633, as Russell (1985: 46) suggested for three houses at Bet She’an (where the latest coins, it turns out, were also issues of Phocas). That does seem less likely in this case, but still possible. Russell, Kenneth W. 1985. “The Earthquake Chronology of Palestine and Northwest Arabia from the 2nd through the mid-8th Century A.D.” Bulletin of the American Schools of Oriental Research 260:37-59. Walmsley, Alan. 2007. “Economic Developments and the Nature of Settlement in the Towns and Countryside of Syria-Palestine, ca. 565-800.” Dumbarton Oaks Papers 61:319-352. You may recall seeing, back in July, the news that radiocarbon dating showed that a Qur’an manuscript at the University of Birmingham was one of the oldest, if not the oldest, in the world. The parchment evidently dates to 568-645 AD at 2-sigma, or 95.45%, accuracy. I was somewhat surprised to see, a few days ago, that it was back in the news. I’m not sure whether this second wave of media attention has anything to do with the upcoming exhibition of the manuscript in October, but it seems like it might. gives more ground to what have been peripheral views of the Koran’s genesis, like that Mohamed and his early followers used a text already in existence and shaped it to fit their own political and theological agenda. Admittedly, I’m not exactly an expert on the history of the Qur’an’s composition, but nonetheless this surprised me a bit, because I hadn’t heard this idea before. I’ll also point out, before moving on, that this date doesn’t really seem to me to support this very strongly. If, to use Edwards, Lindman, and Savage’s famous phrase, “probability is orderly opinion, and . . . inference from data is nothing other than the revision of such opinion in the light of relevant new information” (full, embarrassing disclosure: I first encountered this phrase on the dreaded Wikipedia), this new date gives us little reason to prefer this theory or the traditional one, as most of the more balanced stories have already pointed out. It’s strange, though, that none of the pieces I’ve read mentions the “revisionist” history I’m more familiar with, as that seems to me to be what’s really “destabilized” (as Tom Holland phrases it) by this date. The tendency among the revisionist historians has not been to argue for an early dating, but rather a late one. Nevo and Koren (2003: 11), for example, argue that the Qur’an “was not canonized until the end of the 2nd century A.H. or perhaps early in the 3rd” (that would be the late 8th to early 9th centuries AD). While their view is fairly extreme, some degree of “late” dating is standard in the revisionist view (Motzki wrote an article in Der Islam that summarizes many of these and which is, happily, available here on his Academia.edu page). These ideas have been debated for decades (see, for example, Whitcomb’s archaeological consideration of earlier works by Nevo and Koren, also happily available on his Academia.edu page), but this new date is a pretty big problem for the “late canonization” camp. It’s still possible, I suppose, that fragments existed earlier but weren’t codified into the Qur’an until much later, but this view doesn’t seem very tenable in light of the Birmingham Qur’an. Perhaps this isn’t a big deal because there isn’t anyone who thinks this these days, anyway?